It is said that the Bear Family box set "Out of New Orleans" (BCD 15541) contains the complete Imperial recordings - is this true? 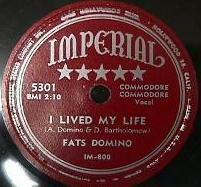 The master of BLUEBERRY HILL used for 78rpm releases (correct lyrics "WE made" and NO fault at 1:04). 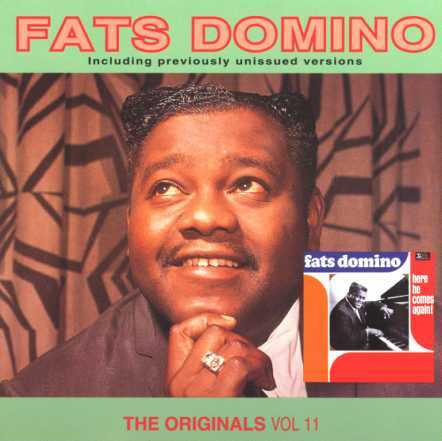 The master of BLUEBERRY HILL originally used for 45rpm and LP releases (correct lyrics "WE made" and fault at 1:04). Note: In the seventies Imperial made a new master and replaced the faulty part with lyrics "YOU made" from later in the song. 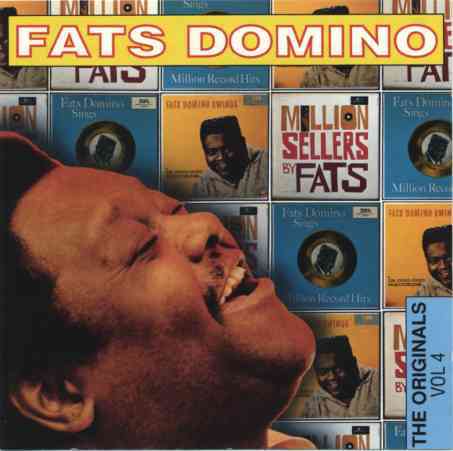 All CD releases came from this master. 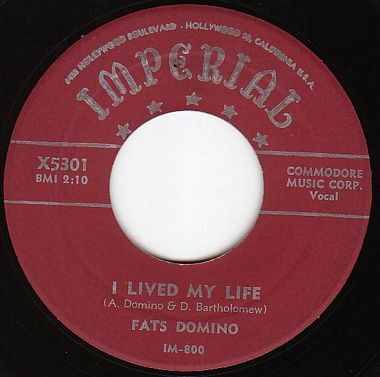 The unedited version of I lived my Life, released on 78 (5301) and 45 (X5301). 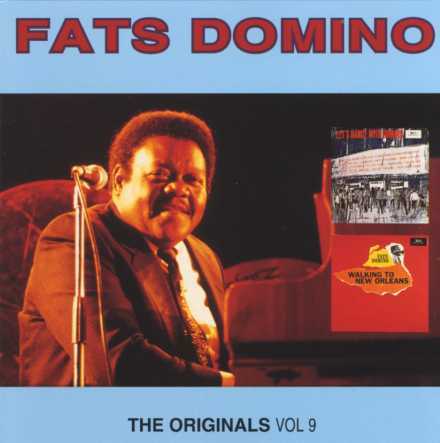 Available on the CD "The Originals Vol. 9" (EMI, 7243 8 29062 2 3). 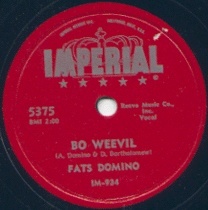 The second version of IF YOU NEED ME, recorded November 7, 1955. Available on the CD "The Originals Vol. 4" (EMI, 0777 7 99657 2 4). 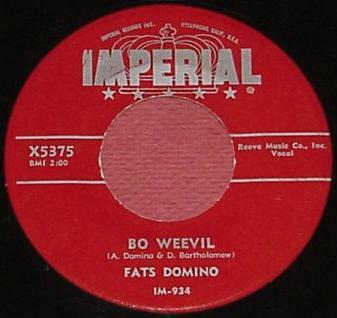 The edited version of Bo Weevil, released on 78 (5375), 45 (X5375), EP "Rock and Rollin' with Fats Domino Vol. 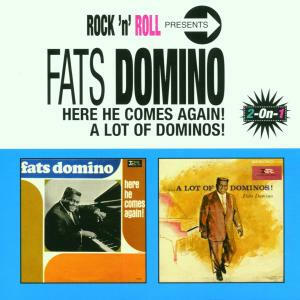 3" (IMP-140) and LP "Rock and Rollin' with Fats Domino" (LP 9004) / "Fats Domino swings * - * 12,000.000 Records" (LP 9062). Available on the CD "The Originals Vol. 2" (EMI, 7942842). The edited version of Careless Love. 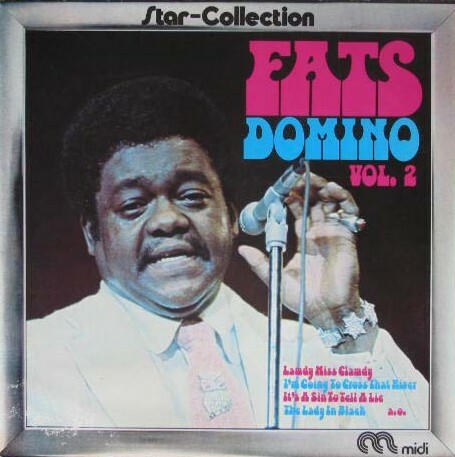 Originally released on EP "Fats Domino Rock and Rollin' Vol. 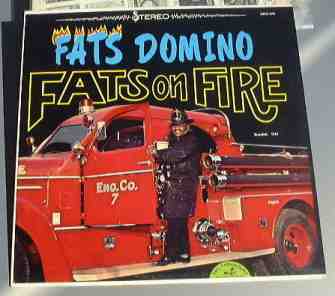 2" (IMP-142) and LP "Fats Domino Rock and Rollin'" (LP 9009). 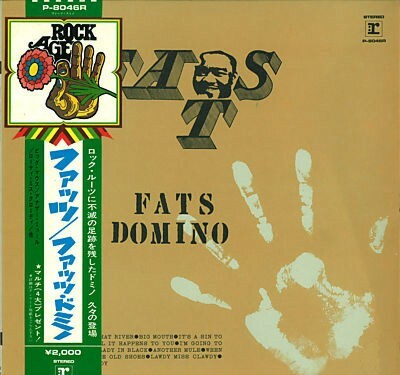 My Heart is in your Hands, a remastered version of "Something's wrong", released on EP "Fats Domino Rock and Rollin' Vol. 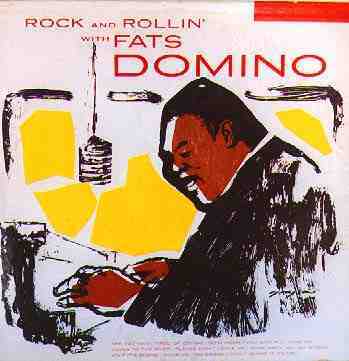 3" (IMP-143) and LP "Fats Domino Rock and Rollin'" (LP 9009). 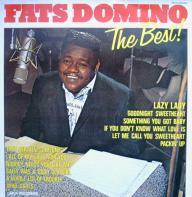 Are you going my Way, a remastered version of "Little School Girl", released on EP "Fats Domino Rock and Rollin' Vol. 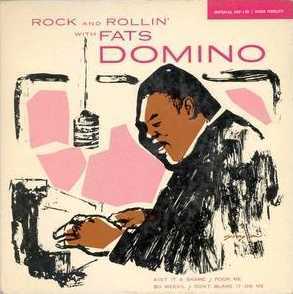 3" (IMP-143) and LP "Fats Domino Rock and Rollin'" (LP 9009). Available on the CD "The Originals Vol. 10" (EMI, 7243 8 29132 2 1). 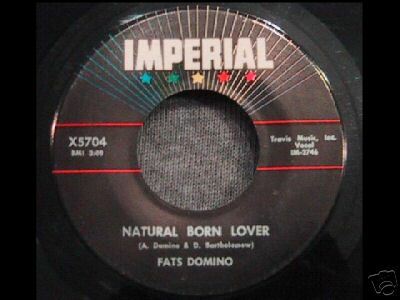 The edited version of Natural born Lover, released on 45 (X5704). 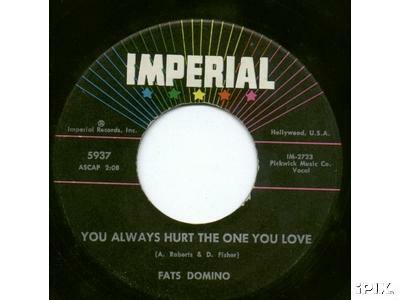 The edited version of You always hurt the One You love, released on 45 (5937). 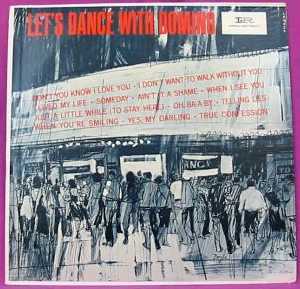 The overdubbed version of Ain't that a Shame, released on LP "Let's dance with Domino" (LP 9239). Available on the CD "The Originals Vol. 11" (EMI, 7243 8 29150 2 7). 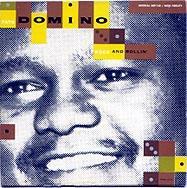 The instrumentals / backing tracks Just a little While (to stay here) / I don't want to walk without You / When You're smiling / Someday, released on LP "Let's dance with Domino" (LP 9239). Fats didn't play on these titles. Available on the CD "The Originals Vol. 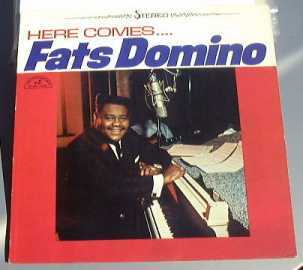 11" (EMI, 7243 8 29150 2 7) and on the CD "Here he comes again! / A Lot of Dominos!" (EMI, 7243 5 33630 2 4). The overdubbed version of I can't go on this Way, released on 45 (5980). The overdubbed version of Darktown Strutter's Ball. The first version of Let the four Winds blow, recorded June 14, 1958. Maybe lost. The overdubbed second version of La la. Maybe lost. If I could, recorded March 28, 1961. Maybe lost. 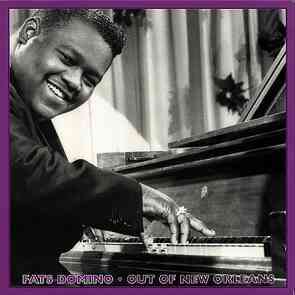 The first version of One Night, recorded March 28, 1961. Maybe lost. 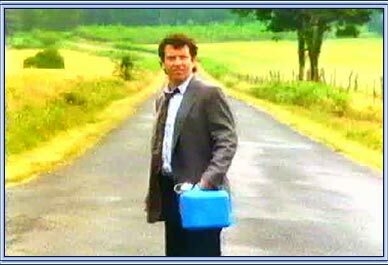 The remixed version of I'm walking for the 1991 Aral commercial "Der Laeufer". There are some ABC-Paramount recordings which were released on a single, but I can't find them on LP: For you / Goodnight Sweetheart / If you don't know what Love is / Lazy Lady / Let me call you Sweetheart / Packin' up / Sally was a good old Girl / Something you got Baby / Who cares. 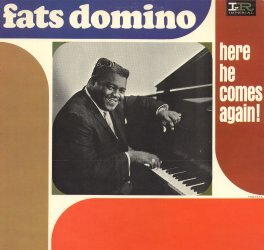 In addition to the three original albums "Here comes Fats Domino" (ABC 455 / ABCS 455), "Fats on Fire" (ABC 479 / ABCS 479) and "Getaway with Fats Domino" (ABC 510 / ABCS 510), a fourth LP was issued, but only in Holland in 1966 as "The Best!" (Artone, PAP 241) and reissued in 1979 with the same cover (MCA, 5C 050-63041). It has all the above mentioned tracks plus That certain Someone / Nobody needs you like me / A whole Lot of Trouble. 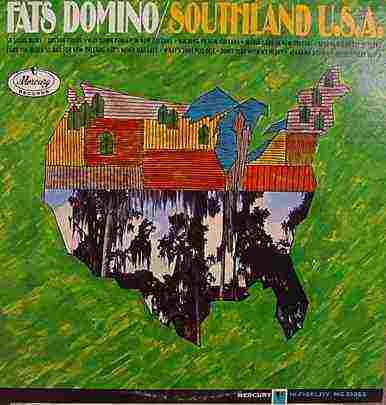 Do you have any information about the mysterious album titled "Southland U.S.A." from Mercury? 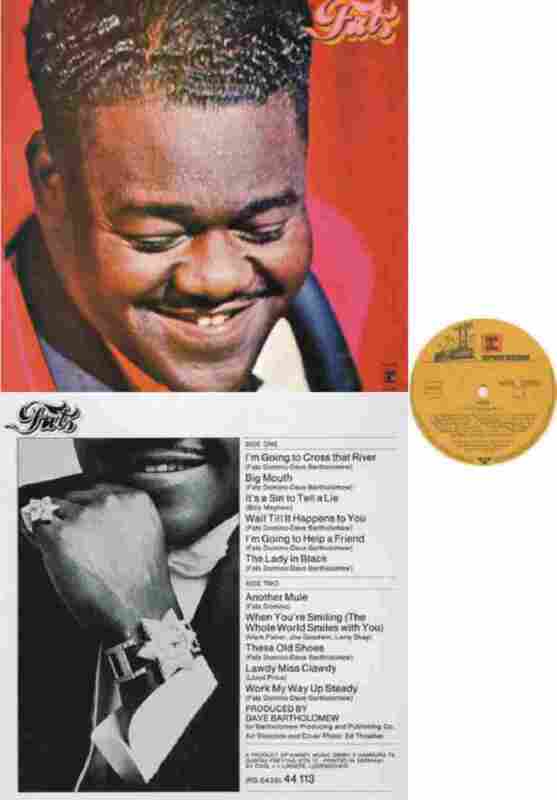 The catalog number is MG 21065 (Mono), and it was advertised in January 1966 in the Billboard magazine. 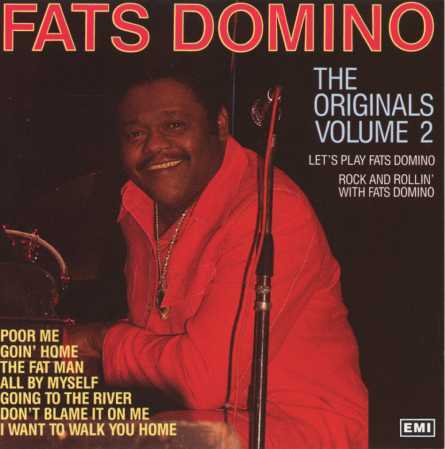 Covers were made and sent to record stores to promote the album. 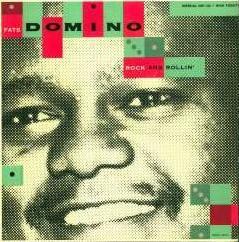 Sources say that it was never finished by Domino, because he left Mercury during the recording sessions for the LP in October/November 1965. 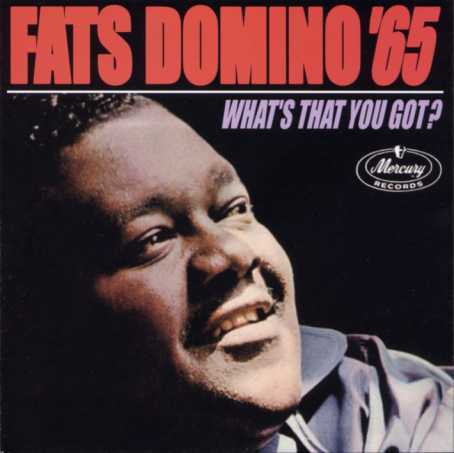 One single, released in 1965, was taken from this album - What's that you got? / It's never too late (72485). 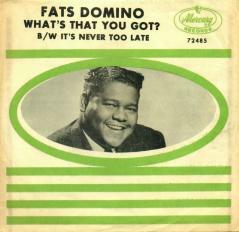 The last-mentioned four songs were released on the 2006 CD "Fats Domino '65 - What's that you got?". 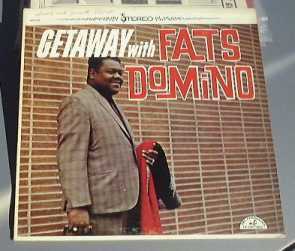 I've never seen a copy of the second Reprise LP "Fats". Does it really exist? 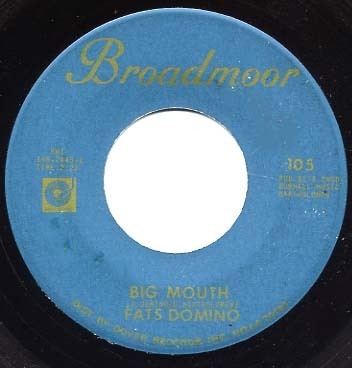 Originally, all the tracks of this album were recorded 1967 in New Orleans for Dave Bartholomew's own Broadmoor label. Only two singles were put out - Work my Way up Steady / The Lady in black (Broadmoor, 104) and Big Mouth / Wait 'til it happens to you (Broadmoor, 105). 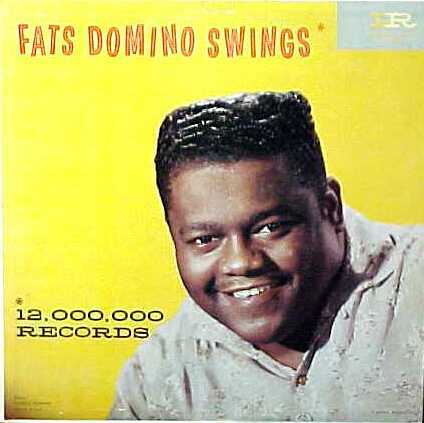 Before releasing the accompanying LP, Fats signed with Reprise, taking the Broadmoor stuff with him. 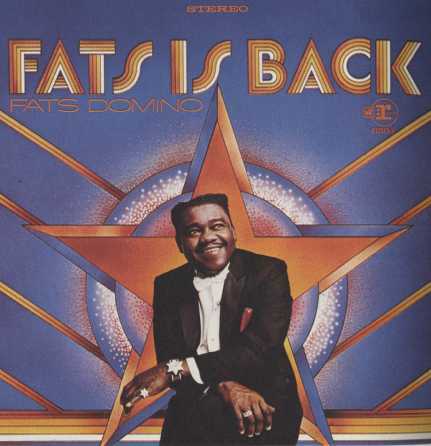 In 1968, Richard Perry produced a new album in Los Angeles, "Fats is back" (Reprise, RS 6304). 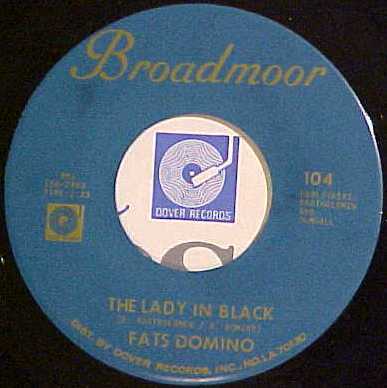 The old "Fats" LP remained unissued, because Domino left Reprise in 1970. For all of these tracks plus a new version of HELP ME see the 2005 Rhino CD "Sweet Patootie: The Complete Reprise Recordings". Are there any other studio albums, which were never finished? A third album recorded for Reprise and produced by Fred Smith. Four tracks were finished, but the LP never was. 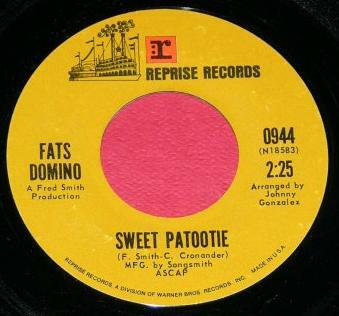 A single, containing two of these tracks, was issued in 1970 - New Orleans ain't the same / Sweet Patootie (0944). 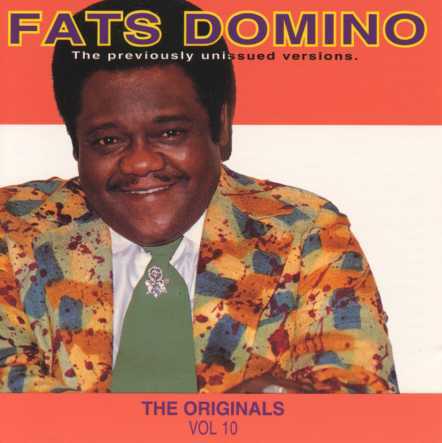 The other two songs CAN'T CHASE A DREAM FOREVER / BLUES SO BAD can be found on "Sweet Patootie: The Complete Reprise Recordings". 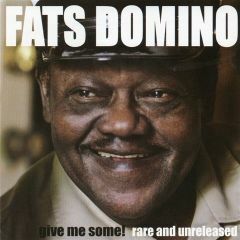 Now available on the 2009 Mardi Gras Records CD "give me some! - rare and unreleased". I own some songs on an old and worn record, but I can't find them on CD. Which are the tracks not issued on CD? Available on the CD "give me some! - rare and unreleased", but dubbed from record. Missing on "give me some! - rare and unreleased". "give me some! - rare and unreleased" has the regular version on it, again dubbed from record - see Doug Kershaw CDs for better sound quality!